This statistic depicts the distribution share of cereals and bakery products expenditure of U.S. households in 2016, broken down by type. Bakery products expenditure of U.S. households captured a share of 67.25 percent of total category expenditure in 2016. 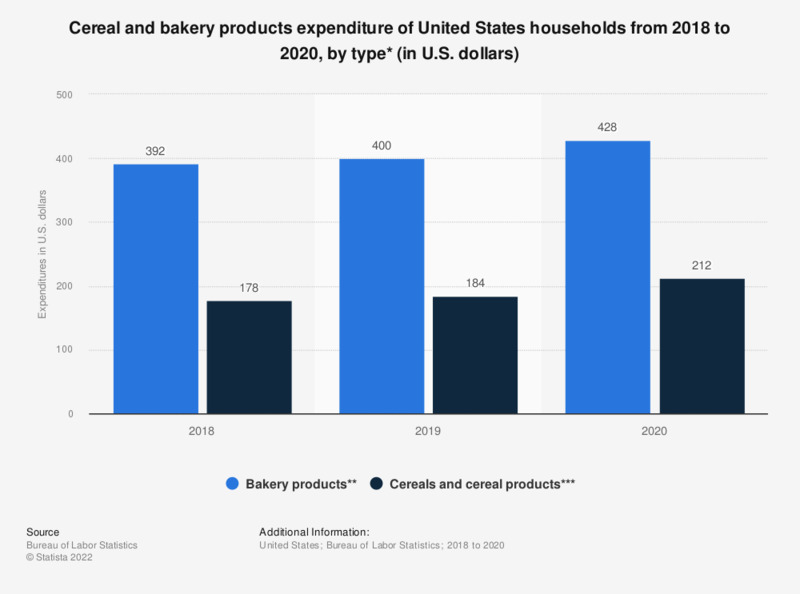 The total spending on cereals and bakery products of U.S. households amounted to about 524.42 U.S. dollars that year. ** Bakery products include bread and cookies and crackers. *** Cereals and cereal products include flour, prepared flour mixes, ready-to-eat and cooked cereals, rice and pasta, cornmeal and other cereal products.